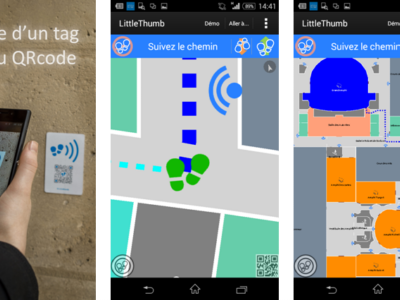 The LittleThumb mobile application is now available for download on Google PlayStore with a demo map for testing the main functionalities. LittleThumb presents its new mobile application for people navigation and animation of pedestrian areas and places. The app is free to download with a demo map of the historical building of the Sorbonne University located in the centre of Paris. The complexity of this building is ideal to demonstrate all the benefits of the LittleThum solution, connecting pedestrian areas with users and improving their experience. The application is also fully operational and compatible with any existing places already mapped and equipped with the LittleThumb StoneTag position technology. iPhone and WindowsPhone versions are coming soon. Contactless payment initiatives are growing fast. 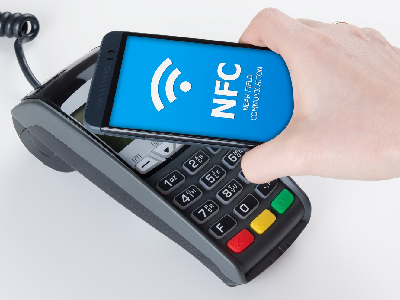 NFC emerges as the dominant technology to secure transactions between customer smartphones and storekeeper terminals. Following credit card networks, like EMV who is adapting its payment network to mobile, or MasterCard testing meal vouchers mobile payment together with Orange and Edenred, e-payment platforms such as PayPal HERE, banks joining forces to build the PayLib platform, it is the turn of the smartphone industry to accelerate in the mobile payment arena. Google had already opened the scene since 2011 with GoogleWalet. Apple spurs in autumn 2014 with the combined launch of the new iPhone 6 and the ApplePay service and Samsung has just announced SamsungPay, a payment solution compatible with most of the existing store terminals. What is the common point of these different solutions? NFC technology. Deloitte is predicting that the world installed base of smartphone equipped with NFC should achieve, if not exceeding, 600 millions at the end of 2015 and that 5 % of those will be used to make at least a payment a month. These figures represent more than a quarter of the smartphones being used worldwide and are closed to doubling when compared with 2014. After a few years of testing, NFC seems well on track to become, in a similar way as WIFI, GPS or BlueTooth, a standard technology on smartphones.